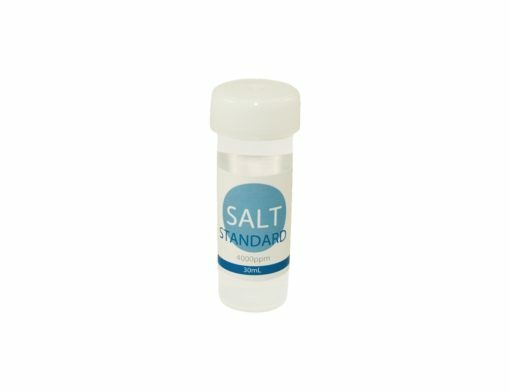 A carefully prepared water sample (30mL) with 4000ppm of Salt for ensuring the Salt Detection Test reagents are working correctly. 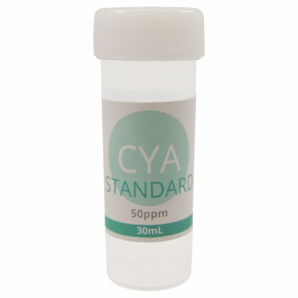 Make sure you are performing the CYA test correctly with this water sample (30mL) containing 50 ppm CYA. 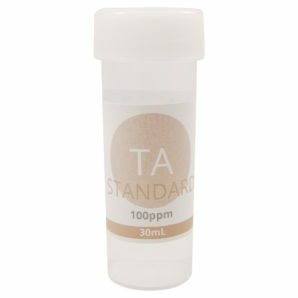 100ppm Total Alkalinity standard (30mL) will help you know if you are performing the TA test correctly. 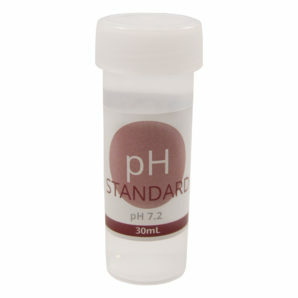 200ppm Calcium standard in ultrapure water (30mL) to calibrate your tests or test old reagents.